We have been in Cremona, Italy for a few weeks and I am anxious to share a few of my favorite things about living in this amazing little town. I can’t even begin to do justice to topic of the food. It is Italy so you know it is good! We are putting back all the weight we lost the rest of this trip. Eating is an art form they have perfected here and fresh pasta, cured meats and cheeses, baked goods and homemade gelato are a part of every meal. Cremona is a music town. 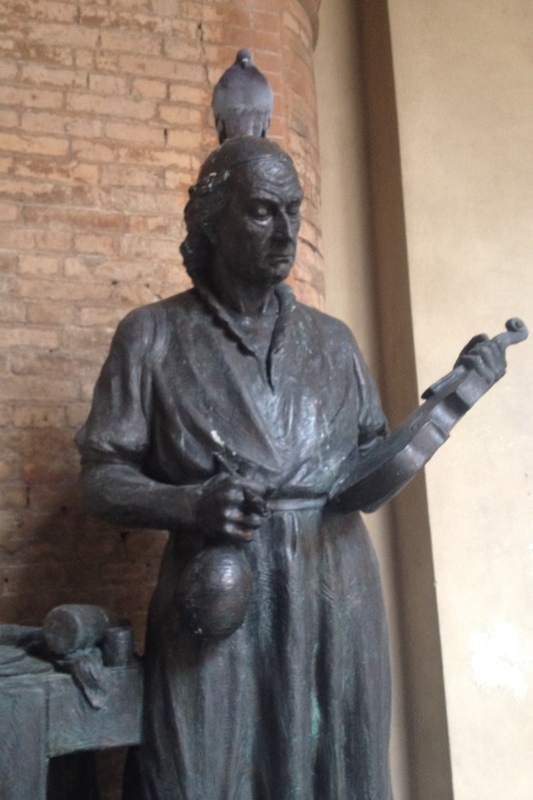 Noted for it’s musical history, traditions and as the home of Antonio Statavarious, maker of the violins. It isn’t unusual to find a local violinist in front of the clock tower playing each day and you often hear accordions and trumpets on the streets. It makes for a joyful town where everybody walks to work, church or the market each day. Some of my very favorite sightings I’ve discovered in Cremona comes from the older generation of Cremona residents. Walking and biking is part of everybody’s everyday life here. I love seeing the older residents out and about! I first heard of Nonnobus from a local friend. School buses don’t exist here so generally parents drive or walk their children to school. Nonnobus is a service where Grandfathers walk or drive children to school in carpools. Retired grandfathers rotate their time to provide the service and help families. It isn’t unusual to see an older man with five young kids trailing behind him or pulling up to a street corner to pick up some local children after school. I just love this!! My favorite thing to see though is old ladies on bikes. 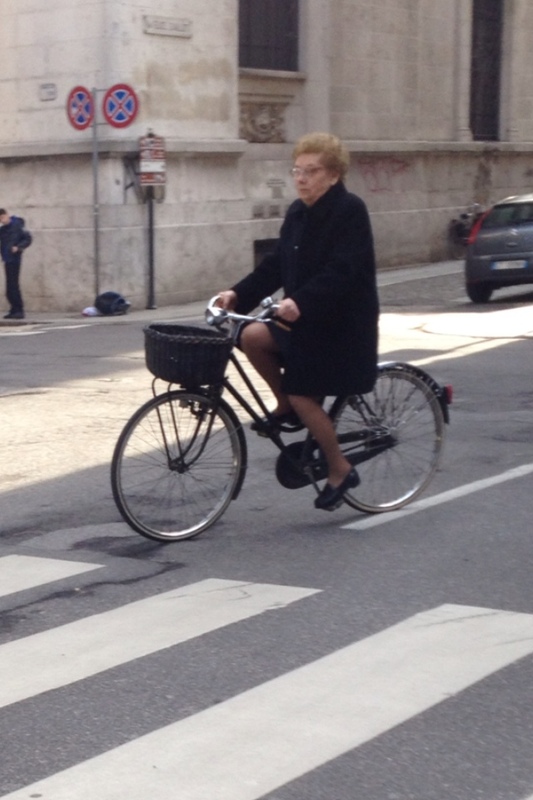 People ride bikes everywhere here but I love the impeccably dressed, older ladies who quietly pedal their way through the streets of Cremona on their way to the market or espresso or church or who knows where. Grandma’s on bikes are cool and they make it look good! 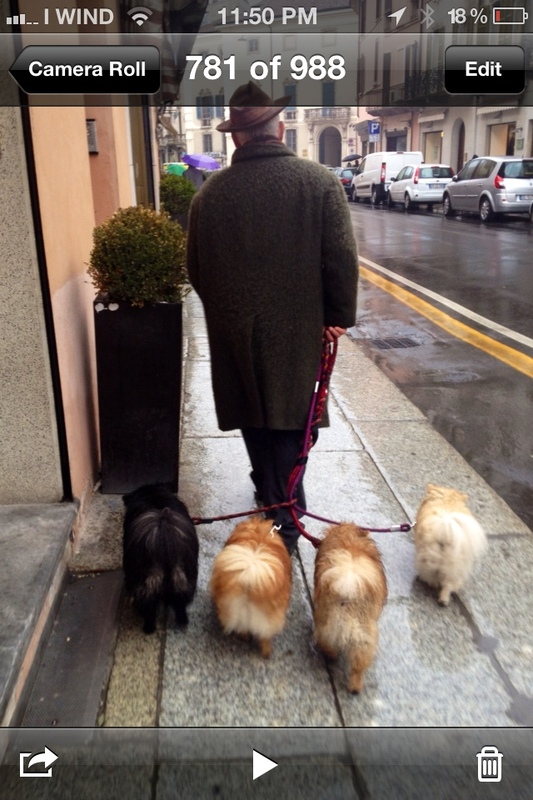 Finally, I am quite fascinated by the old men and their small dogs. Maybe I’m just missing my dog and I now notice all the little fancy dogs this town boasts! Cremona has a huge amount of small dog ownership and they all enjoy dressing them on coats and scarves. It is Italy so fashion is important! Older men seem to be particularly drawn to the small fluffy breeds. People bring their dogs into stores and restaurants. Many people have more than one. Ii just can’t help taking pictures when I see them!! So that is a quick glimpse into life in Cremona. Life is good here. 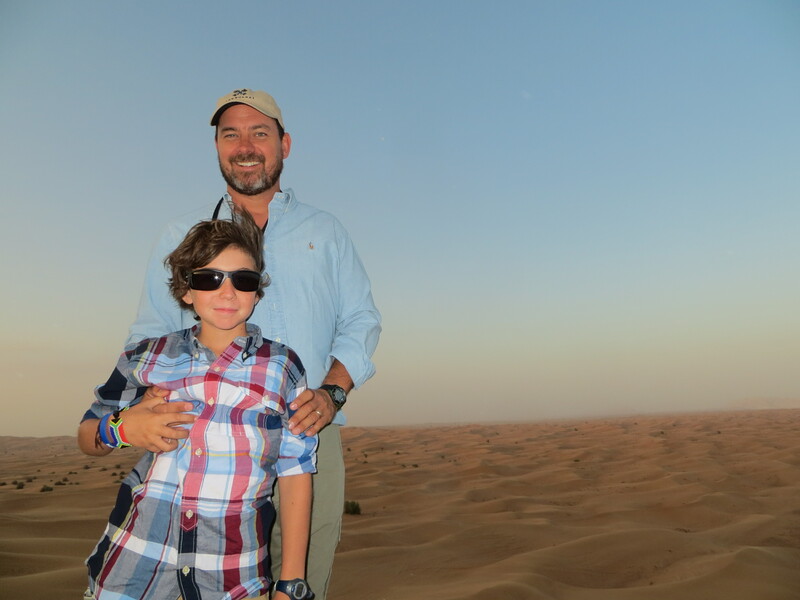 We spent several nights in Dubai – enroute from Johannesburg to Europe. Our initial plans had us routed from Johannesburg to Egypt and then to Milan. We had hoped to spend a week in Egypt learning about Egyptian history, visiting the Great Pyramids and the Valley of the Kings but the political instability there made us change our plans. Anne had always been keen on seeing Dubai after reading about the extensive construction that has occurred there over the past 10-20 years. We rerouted from J-burg to Dubai and then on to Barcelona. Literally, Dubai is a city that has arisen from the desert in a very short timeframe. Filled with gleaming new skyscrapers, Dubai is reputed to be a shopping paradise with 7-star hotels and one-of a kind attractions including a mall with an indoor ski slope, man-made residential islands, and the world’s tallest building. We thought we should give it a look. Dubai is, in fact, a city with gleaming new buildings, lots of shopping, and the world’s tallest building. It was impressive – like Walt Disney World and Las Vegas are impressive. We enjoyed the visit but frankly, I found the city to be a bit “soulless”. Having spent a good part of the previous year in developing countries – the blatant materialism was a little off-putting. While we have traveled we have tried to teach the kids the difference between “wants” and “needs” – and found 3rd world countries to be an ample classroom for understanding how all people are the same – despite material wealth. I worried that those lessons were being lost amidst the glitter of Bugatti’s and Rolls Royce’s. Moreover, I (somewhat awkwardly) found myself just as awestruck by the parade of luxury cars and really enjoying the excellent service at our swanky hotel. 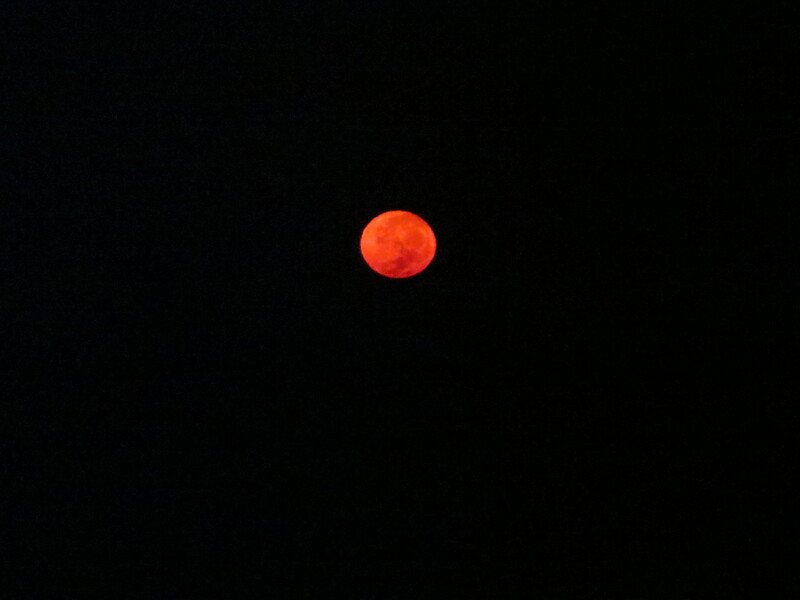 The highlight of our short trip to Dubai was actually away from the city lights. 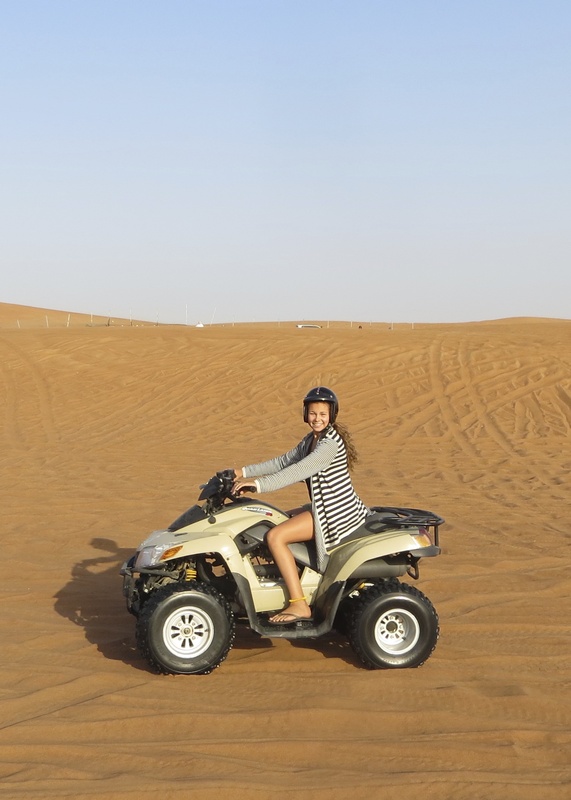 We booked a day in the desert and spent the morning driving ATV/4 Wheeler’s over sand dunes. 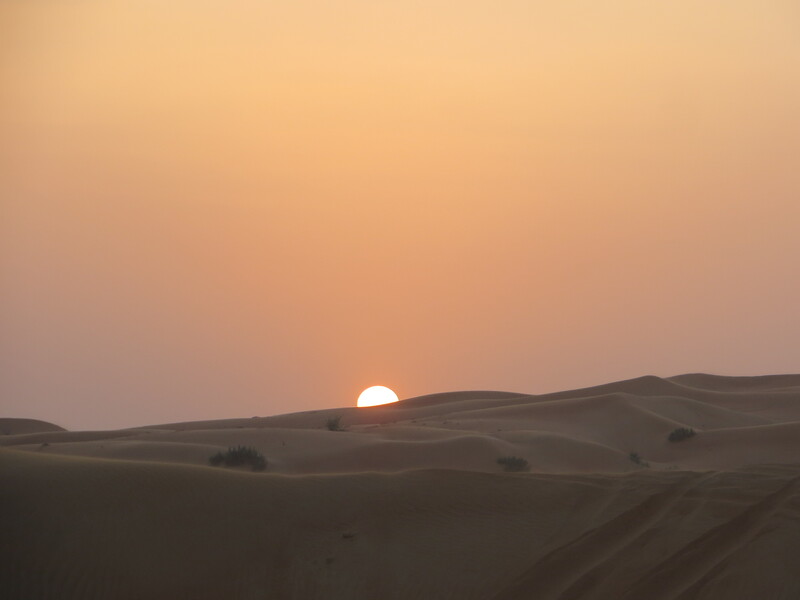 Afterwards we climbed into SUV’s (Toyota 4-Runners) and set out into the desert as the sun began to set. 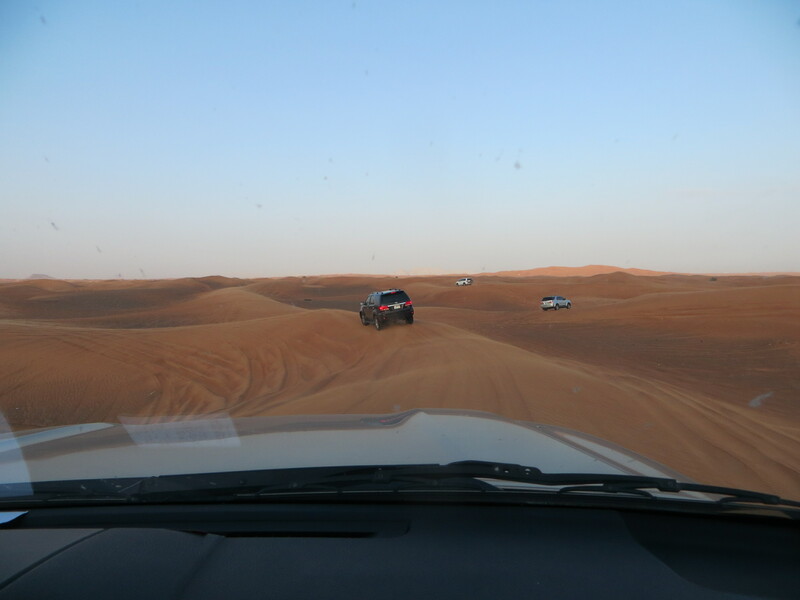 For an hour we bounded up and down massive dunes on a zigzag course through the desert. 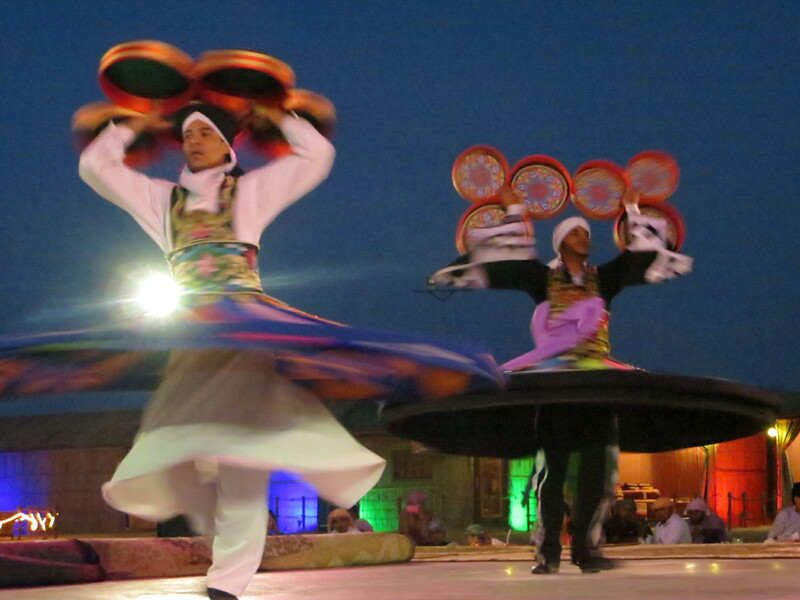 We arrived at a desert camp for dinner and saw some Arabian dancing as the sun disappeared behind the sand. How did we reconcile our position that individual material wealth was unimportant when compared to one’s generosity and kind-heartedness while simultaneously staying in an ultra- luxury hotel and gleefully gawking at cars that cost more many people earn in a lifetime? 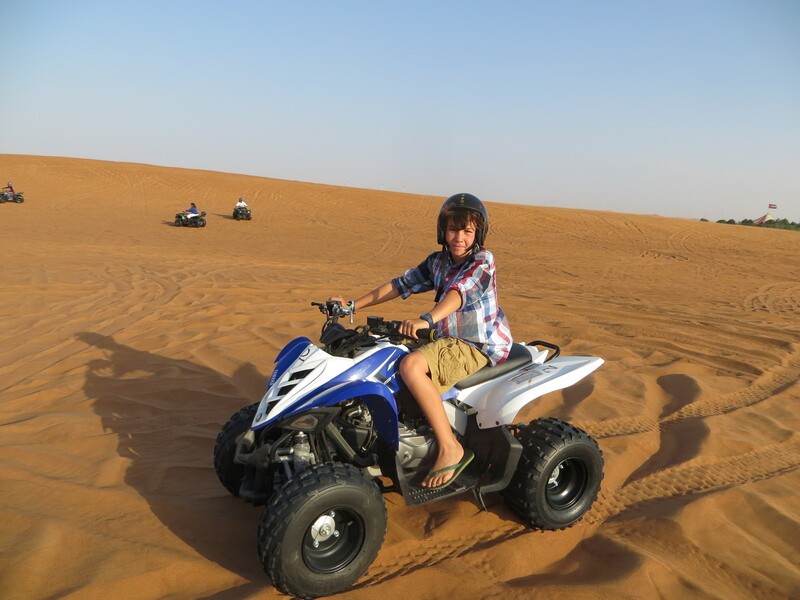 I don’t know if there is a perfect reconciliation, but we visited Dubai and saw what it had to offer. We enjoyed seeing the flashy and expensive cars and very high end stores – but we did so informed first-hand that these items and stores are out of reach for all but a very few people in the world- and that included us. Anne and I also know that acquisition of material goods is not the key to happiness. Hard work that enables you to have enough discretionary money to make some choices in life is an ingredient to being content – but the money itself provides no intrinsic joy and the shininess of new acquisitions quickly fades. 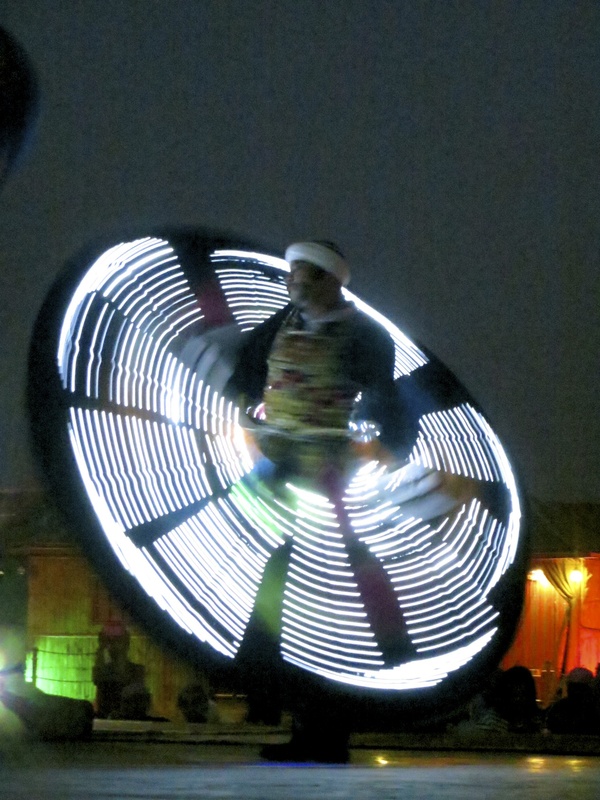 In short – we appreciated Dubai for its newness and its vision. The aspirations of this country, manifest in the spectacular buildings and the changing of a desolate landscape into a lush garden, are admirable. 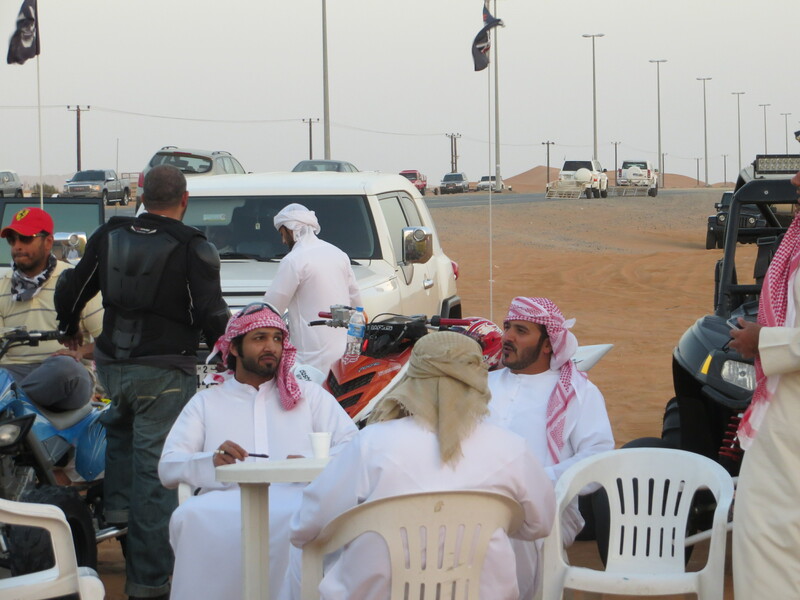 In Dubai, a destination has been created where a harsh and desolate landscape once existed. Like Las Vegas, it is an interesting place to visit – but not one where you expect to learn any real profound life lessons. But maybe that isn’t the case. Upon arriving in Barcelona, I noticed that after I made a purchase (subway tickets, soft drinks, etc.) Lee kept asking me for the change. I suspected he was adding to his collection of foreign coins. However, as we made our way around town, I noticed that he was quietly and repeatedly dropping coins into the cups of homeless people and street performers. Seems that the vast material wealth on display in Dubai, while scintillating and attractive, had also made Lee MORE conscious of those who had little. 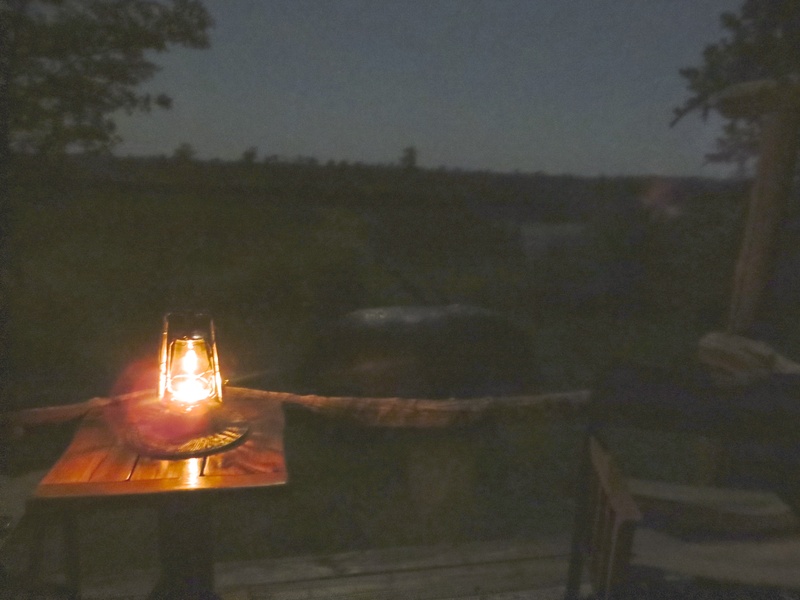 Despite being housed in luxurious tents, we were still quite remote, and each night the power went off at 7:30 – so the camp was lit only by oil lamps and candles. We ate dinner at 8:00 so everyone was usually tucked in around 9:30 so we could be ready for our 5am wake up calls for safari gamedrives the next morning. I’d seen lots of tracks around camp. We were told there were all sorts of animals around. As I walked to dinner we passed a mother and baby bushbuck (like an antelope) just outside our tent. After a grand meal our guide, Baams, escorted us back. David and Lee took one tent and Laney and I took another. It isn’t hard to fall asleep to the sounds of the insects chirping away. Then I heard it. The sound of water splashing. It was unmistakable. It was like someone did a cannonball just outside my room. Then I heard giant slow footsteps like the creature from the black lagoon was crawling out of the mud. One after another, sloshing its way slowly from the mud and water towards my tent. I began to hear the crunching and tearing. It was getting closer. I immediately woke Laney to tell her, “HIPPO!. “ She jumped up and we looked out the screen right beside her bed and a massive mother and baby hippopotamus were grazing right beside us. We just sat and took it in. To be that close to a wild hippo is an amazing experience and incredibly frightening. Hippos are famous for being the deadliest animal in Africa. They are incredibly territorial and very aggressive. The hippos that came in past our tents were generally not a threat to us if we stayed in our tents. It was one of the most incredible experiences I have ever had. 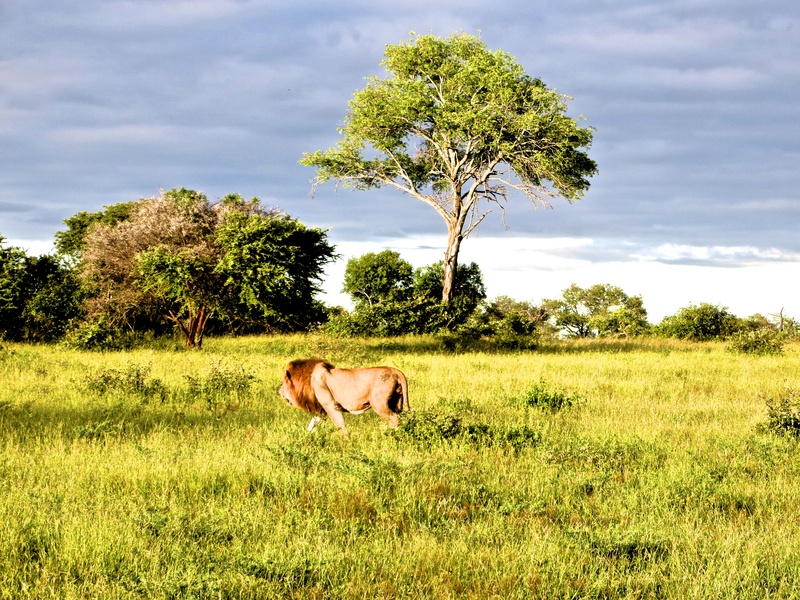 Our African experience afforded us several nights of interesting animals outside our rooms. 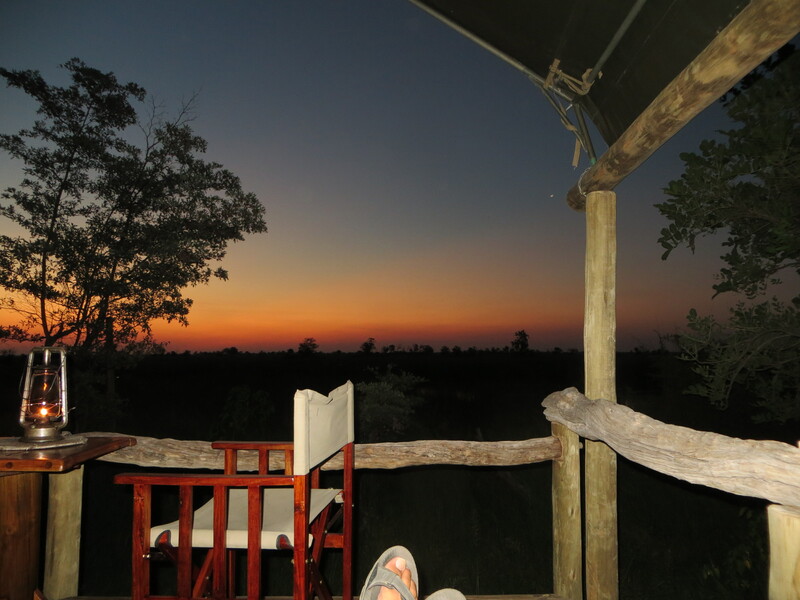 In South Africa at Londolozi we had Vervet monkey and baboons who were regularly on our porch. These funny guys provided much entertainment although they cause the staff a lot of aggravation. In Victoria Falls, the resident zebras fell asleep just outside our glass doors. 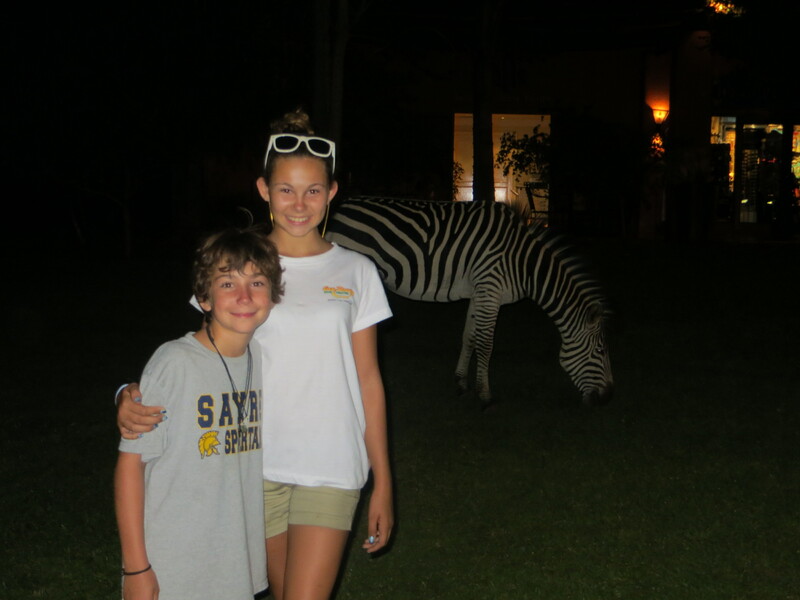 We just left our curtains open that night because we couldn’t get enough of falling asleep beside a family of zebras. In Chobe, our lodge had warthogs that lived on the premises. You couldn’t go around the corner without coming across Puumba and his family. We could sit on our porch and watch the little warthog piglets play on the grass. They were so cute. These have been some of my favorite experiences. Africa is amazing and I hope I’ll have the chance to come back to see what is waiting for me the next time I fall asleep. It really has been a dream come true. 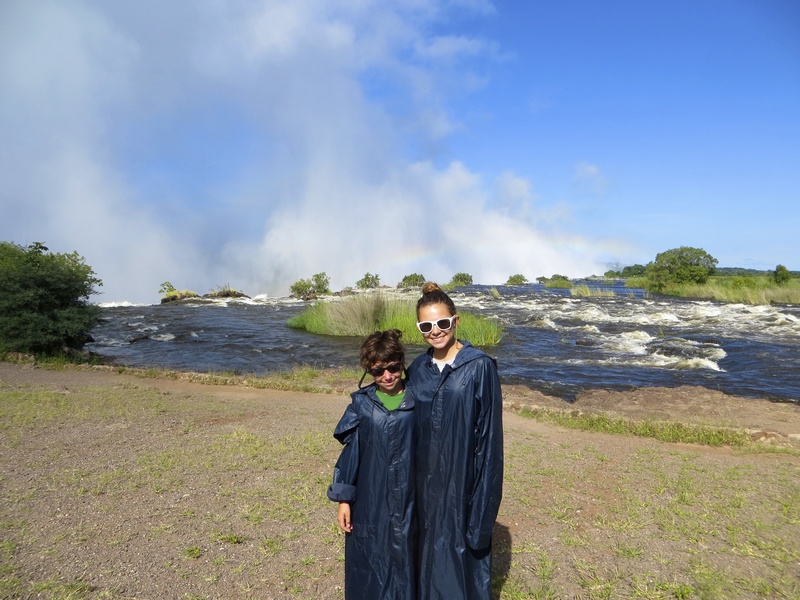 We arrived yesterday to Zambia – especially to make a trip to Victoria Falls. 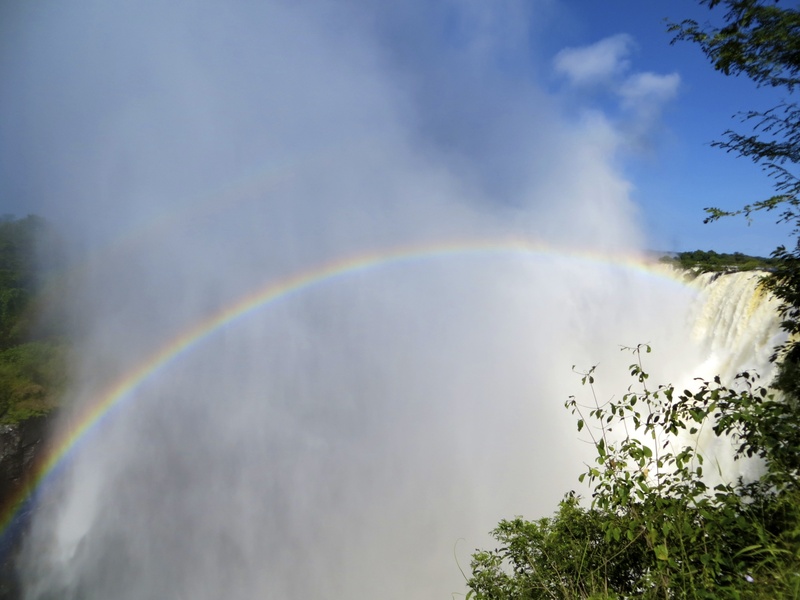 “Discovered” by Dr. Livingstone and named for the reigning monarch, Queen Victoria the falls were considered one of the original 7 Natural Wonders and the falls and the surrounding area are presently a UNESSCO World Heritage site. The falls are approximately 1.7 kilometers across and drop over 100 meters (300+ feet) at their highest point. 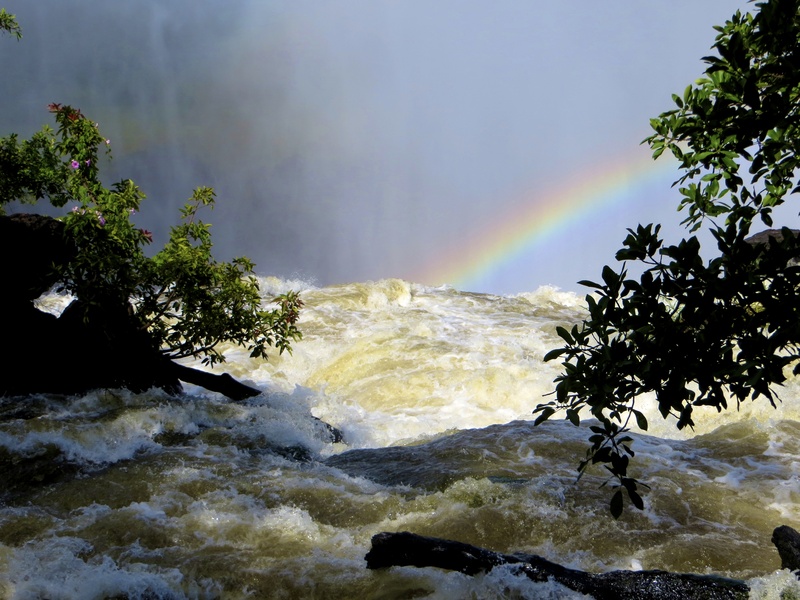 The falls are found on the Zambezi River that separates Zambia from Zimbabwe. 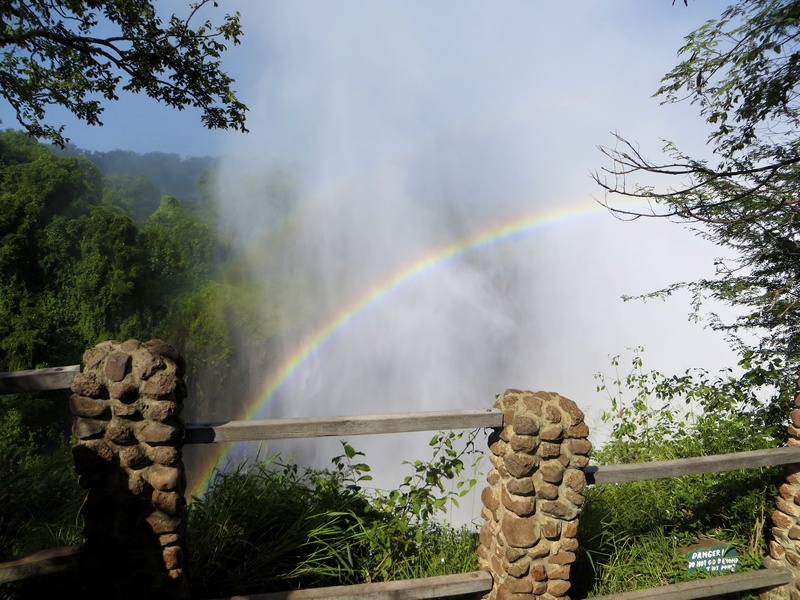 The local name for Victoria Falls is Mosi-Oa-Tunya which translates into “the smoke that thunders”. I will admit that I had some reservations about spending time in Africa visiting a waterfall. 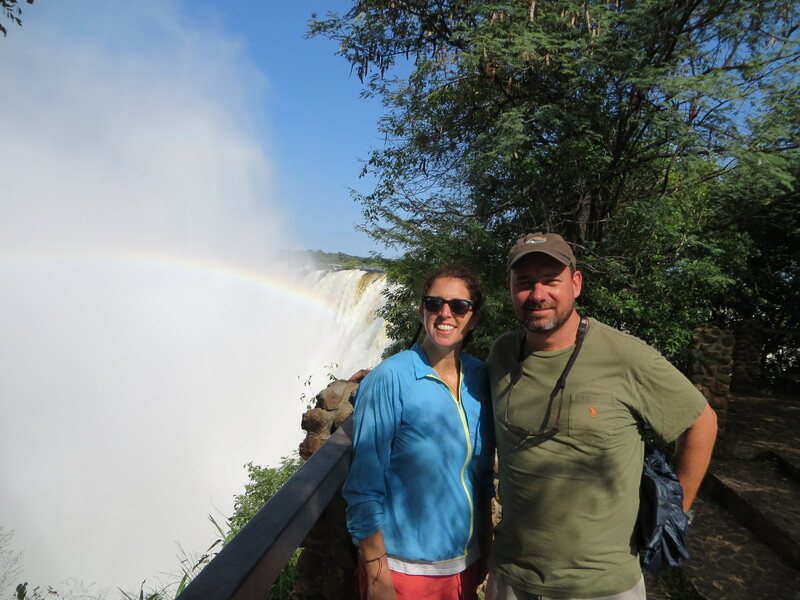 I had been to Niagara Falls and while interesting to see, I wondered if there wasn’t a better way to spend our time while on the continent of Africa. This is a place that is filled with exotic locations and beautiful animals. I can now say, without hesitation, Victoria Falls was worth the effort. We approached the falls (it is a short walk from our hotel) and could see the famous mists rising high in the air above the treetops. As we got closer we caught glimpses first of the river and then the falls themselves. The view from the top was impressive. Mist rose like smoke and large rainbows formed as the sunlight met the vapor. As we proceeded closer to the falls and down a path we donned poncho-like raincoats and were told we would get wet in the spray. A rainforest path lead closer and closer to the falls and into the airborne water that surrounded the massive falls. Within minutes we found ourselves walking in a downpour of water that was shocking and exhilarating. The raincoats did very little to keep the water at bay. I don’t have any pictures of this part of the falls tour because it was the equivalent of standing in a car wash for an hour. We traversed a bridge that was hundreds of feet up and immediately adjacent to the falls. When you could catch a glimpse, through the onslaught of water, the views were extraordinary. The bridge was slippery and under a constant onslaught of heavy “rainfall”. It took us across and further along a path where we continued to be soaked and walk along viewing the falls. By the time we reached the end of the path, we were as wet as if we had jumped into a swimming pool. Along the way there was so much water in the air, mixed with sunlight that rainbows were forming in every direction. It was like you were wearing prism sunglasses. We couldn’t wipe the smiles off our faces, as the overall experience that was truly exhilarating. It is my opinion now, that a trip to southern Africa should absolutely include a visit to this remarkable place. Here is an amazing market that was really cool. Check out my video. In Guatemala, on Lake Atitlan, we were taking a small boat back from a little village to our house across the lake. The ride took about 40 minutes. About halfway across we saw the storm cloud chasing us. The driver, who spoke no English, shook his head and said in Spanish the words for “big rain”. He began to get a large tarp out which I knew couldn’t be good news. As spiders were scattering everywhere form the crumpled tarp, I was debating taking my chances in the rain. When the rain started it didn’t take me long to get under the tarp. Between the speed of the boat and the wind we were soaked to the bone. Lee said, “It’s better than the rain in the Grand Canyon.” And that was true. While fishing in the Amazon we heard thunder. The guide said “big storm” but didn’t move. We all looked at each other. The guide caught another piranha. The rain started. It was light at first and we kept fishing. The Amazon is so hot that the rain was a welcomed relief. We kept fishing. It kept raining. We kept fishing. It got heavier. A lot heavier. We kept fishing. It began to rain so hard that we could not see. David said to the guide, “Will the fish bite in this?” “No, probably not”. Hmmmm. Another day in the Amazon. In Fiji, the weather was beautiful almost every day we were there while Hurricane Sandy ravaged the North East Coast of the USA. A little less than two months later a cyclone came through Fiji doing significant damage to many of the islands. Our prayers are with both places for healing and recovery. Mother Nature is tough. In Australia it was the beginning of the rainy season and rained almost every afternoon in the north. We never experienced the real torrential rains that everyone told us about as it was still early but one of my favorite memories was while scuba diving on the Great Barrier Reef from Mission Beach. We looked up to see the rain drops on the surface of the ocean. Rain looks very beautiful from under the water. In Ubud, Bali the rain flooded the streets washing the Hindu temple offerings away. We attended a cooking class one afternoon and watched the beautifully dressed women walking the streets in the rain with large offerings on their heads to get ready for a ceremony. The rain didn’t stop anybody there. People use motorcycles like minivans and children can be seen riding tandem under their parent’s ponchos. Just extra set of little legs sticking out as they ride through the rain on scooters or motorcycles, weaving through the traffic and bouncing through puddles. We have just left the Jungle of Borneo and spent a wet morning aboard a pagang boat searching for Orangutans and other jungle animals. 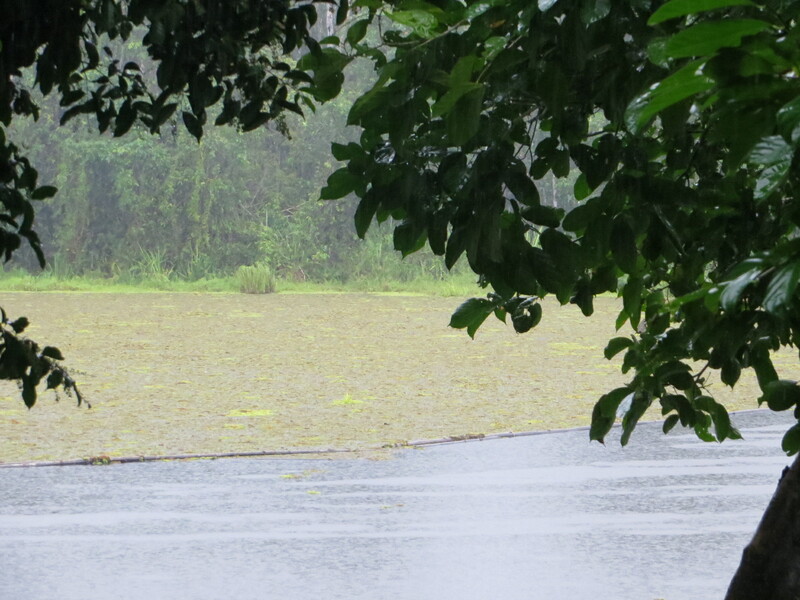 As we passed Proboscis monkeys, long-tailed Macaque and other amazing wildlife, the skies opened up again. It was early, 6 am, and we were once again on a boat, on a river, in a jungle, soaking wet. When we got back to the jungle camp our guide suggested we wait in our huts until the rain stops to try again. Lee cuddled up on our cot and said, “Let’s tell stories and laugh”. This was one of my favorite days in the rain. So we have experienced a lot of different rain. 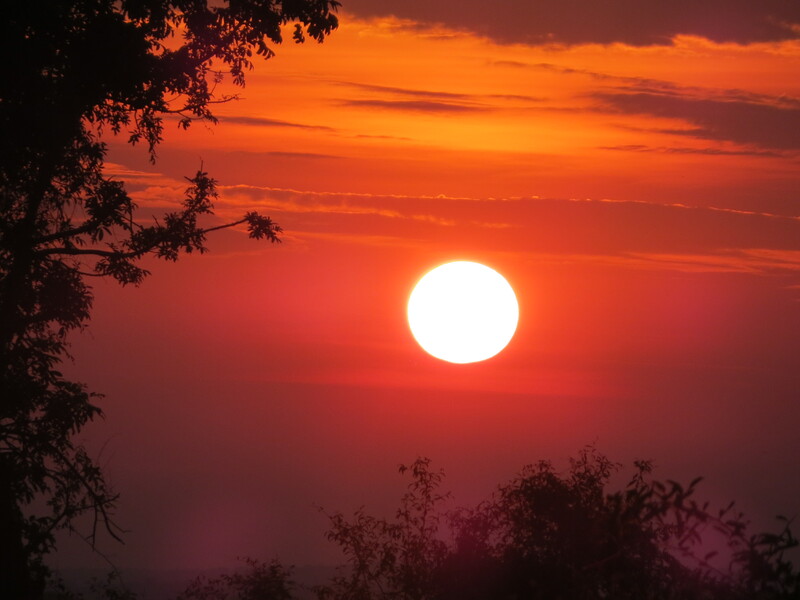 In part this is due to the fact that we are following the sun around the globe and have encountered the wet and rainy seasons in several areas, but also because most of our trip has put us out in the elements more than ever before. Most of the places we have visited live closer to the elements and in tune with nature than we do in the USA. We have isolated ourselves from the elements to a degree that is unique in the world. Many countries, and most people on the planet, do not exist in a climate-controlled environment. While it is nice to be cool in the summer and warm in the winter, reintroducing yourself to the natural world is an exercise worth doing. I’m a bit hardier now. I can handle the rain…I even like it.